This was a tale of two cities, the best of times and the worst of times. At the beginning though it all seemed so simple. Everyone knew that Paris would win the right to stage the 2012 Olympic Games. The bid organisers had learned their lesson from four years earlier when they had been accused of arrogance and over-confidence, and had been eliminated at an early stage. This time the bid was slimmed down and thoroughly practical. 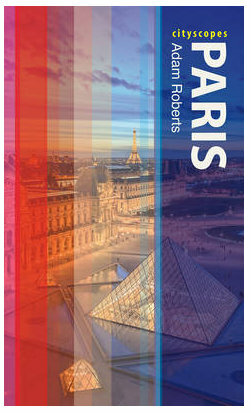 And Paris was Paris, the home of the modern Olympic movement and the city that everyone loves to visit. On the day of the announcement, I wandered down to the Hotel de Ville where a giant screen was showing a live feed from the event. Hundreds of people were there, all in a party mood and ready to celebrate, but they were seemingly unaware of the length of these ceremonies. The first cities were eliminated quickly enough - New York, Madrid and Moscow - leaving just left the two eternal rivals – Paris and London. It was then announced that there would be a delay of over an hour before the final result would be known. The crowd started to get nervous, but they were still sure that they would win. The London bid was just empty promises, ridiculed by the UK press and unpopular with the population at large. Everyone here was behind the Paris bid. As the moment of the announcement got closer, I moved to the centre of the crowd. On the big screen, we saw the envelope appear. People stood up on to their tiptoes, their hands clasped together, ready to leap up in celebration. It had to be Paris. Even I wanted it to be Paris. The envelope was torn open and the card taken out. Jacques Rogge, President of the IOC took an eternity before finally announcing…“London!”. All around me there was stupefaction. It wasn’t possible. There was silence, then cries of ‘Noooonnnnnnn’. I watched the scene in front of me, but then the thought came to me that as an Englishman I might not be welcome. I quickly rushed off. In the media that evening and the next morning there was consternation. What did London have that Paris didn’t? The IOC spoke of London’s project to regenerate an area of the city and leave a legacy against the more conservative, and perhaps finally rather dull Paris project. People in France though began to cry foul, accusing Tony Blair of excessive lobbying in Singapore on the night before the vote. The atmosphere became extremely bitter, and London was no longer flavour of the month in the Paris. But then came tragedy. In the morning of the 7th of July, the day after the announcement, London was hit by four almost simultaneous suicide bombs, killing 56 people. We know now that there was no connection to the attribution of the Olympic Games, but at the time anything seemed possible. Bertrand Delanoë, the Mayor of Paris had criticised the behaviour of the London bid team, but on the 7th he immediately wrote a letter to his counterpart Ken Livingstone offering the full support of the people of Paris. Once again there was solidarity between the rival cities, and the Olympics were forgotten. Something more important had shown that it was only a game after all. It's been a real pleasure reading your posts over the past months, am looking forward to discovering more parts of Paris that I didn't know about... thanks to your diligent research and reporting... Invisible Paris has been a fascinating place to visit every time I've been able to get here. Keep up the great work in 2010 ! ... and today, maybe we feel lucky that we didn't get them? I live close to what should have become the Olympic village, now transformed for other purposes, including a big park, which may look nice in a couple of years, when finished and when the trees have taken roots.